Who Is Estate Conservation, Inc.? What would happen if a small town preacher, who is a Vietnam vet, spoke at a businessmen's luncheon and later went to the Orange County probate court? You'll be surprised! Just click on the words "Small Town Preacher/Courthouse Conversation" in the yellow box below. Since 1981, Estate Conservation, Inc. has operated as an independent research and consulting firm in Huntington Beach, California. It has never accepted contributions from any legal or accountancy firm, financial institution or government agency. All revenue (except from book/report sales and lectures) is derived from client fees. Estate Conservation, Inc. does not render tax, legal or financial advice. Instead, it provides its clients with facts and other information which they can use to evaluate their estate planning documents, especially trusts. Also, the firm is retained to conduct research on various estate planning issues; to locate and organize legal and financial documents; and to consult with clients' tax and legal advisors on projects concerning document preparation, trust administration, etc. Emphasis is placed on identifying and preventing potential problems. The facts and other information provided by Estate Conservation, Inc. are obtained by researching probate court records; by reviewing documents received from attorneys, clients and other sources; and by associating with specialized lawyers, accountants, bank trust officers, financial planners, title insurance officers and pension plan administrators. Estate Conservation, Inc. has rendered services for individuals and families with estates valued from $25,000 to $30,000,000, and has clients who reside in states other than California. The firm's corporation number is C1062371. The firm's President, John M. Maag, also has worked as a professional trustee. Neither he nor the firm has ever been the subject of a lawsuit. As a California native, John received his formal education at Glendale High School (1964 graduate) and Golden West College (1977 graduate). His military service included a tour in Vietnam as a medical corpsman with the 4th Infantry Division. 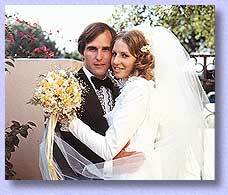 John and his wife Eileen have lived in Huntington Beach since their marriage in 1973. Their daughter Kristen is married and works near Washington, D.C. John’s daily routine usually includes a morning swim for therapy and sanity!